Many Allen customers have recommended or purchased more than one Allen organ in their lifetime, but Robert Schaaf may hold the record. Beyond his Allen advocacy to churches he has served, he recently purchased an Allen for his own home! 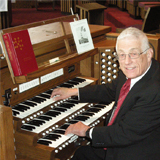 Robert is retired Ft. Myer Chapel Ceremonial Organist and Chapel Choirmaster, a position he held for 45 years! He has performed over 35,000 memorials and funerals for service members and families, along with over 3,000 weddings. These included casualties of wars in Iraq, Afghanistan, and Vietnam, many attended by President Johnson and other presidents. For years, he also conducted the choir for the EWTN televised National Memorial Day Mass at the Basilica of the National Shrine of the Immaculate Conception, and planned music for the 1989 Mass and Dedication of the Chaplains' Hill Monument dedicated to Catholic chaplains who lost their lives in World War II, Korea, and Vietnam. 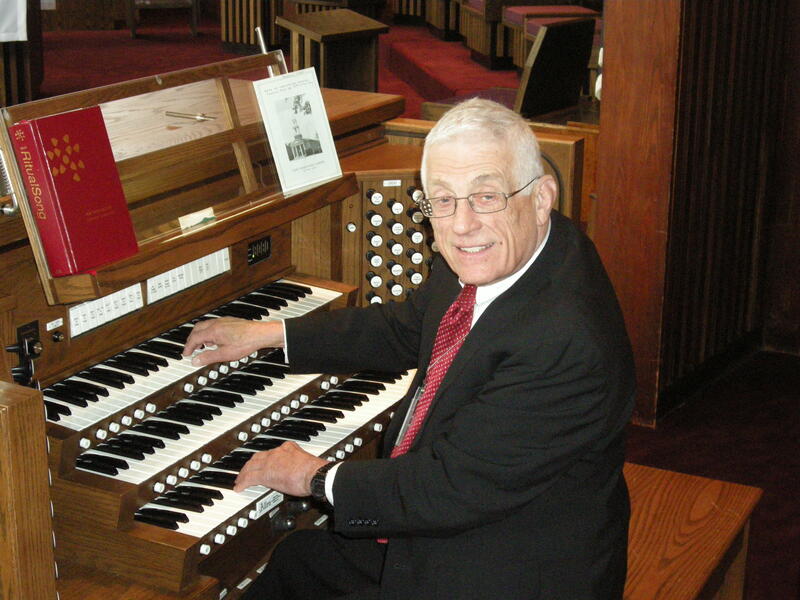 Bob states, "I have had the best experiences with the Allen Organ Company over the many years! 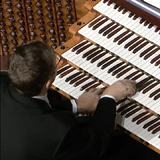 Memorable was the installation of the fabulous MDS 85 in the (Ft. Myer) Memorial Chapel. It is here that very large funeral services for government dignitaries, Sunday services and concerts are held. I also enjoyed working with Allen on the update of the historic 47 rank Möller organ in the Ft. Myer Old Post Chapel which is used for funeral services for Arlington National Cemetery, with an average of twenty services per week plus weddings on Saturdays. This organ included the very successful addition of a digital Positive division, several digital pedal ranks, plus a ceremonial trumpet which I named Trumpet Militaire." 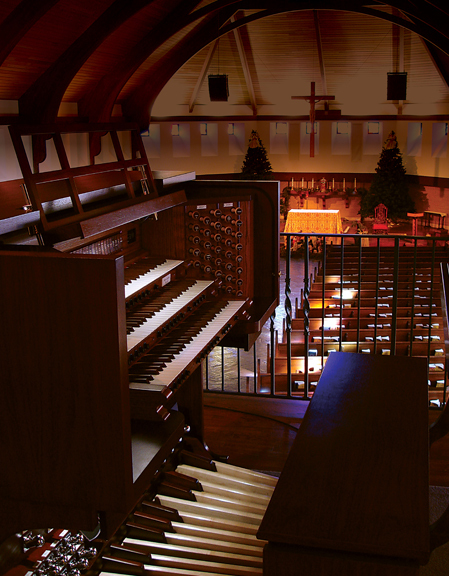 Bob's other involvement with Allen Organs were his recommendations for organs at the chapel in the Washington Navy Yard, Ft. Belvoir Post Chapel, and St. John's Catholic Church in Herington, Kansas. 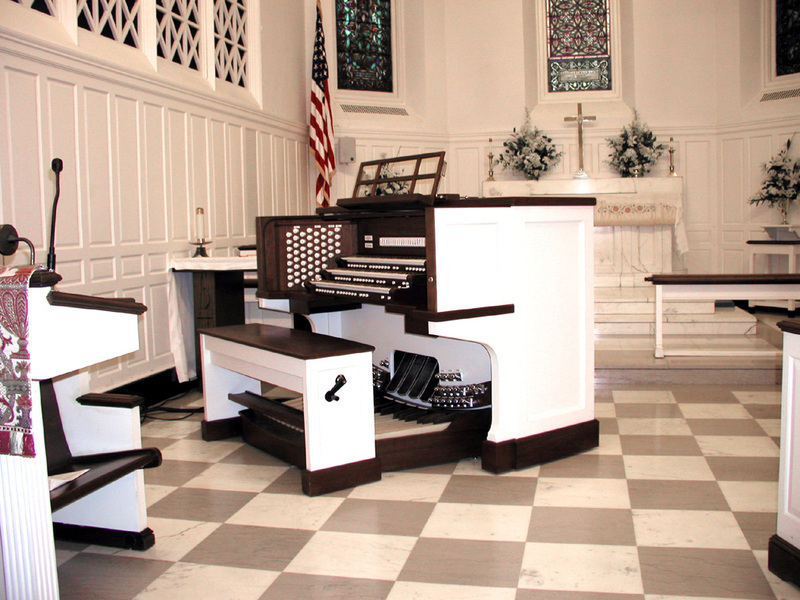 St. John's Lutheran Church in Davis, WV, where Bob currently plays, recently installed a 38 stop, Three Manual, Allen Organ. Davis West Virginia is located near the historic Blackwater Falls National Park. 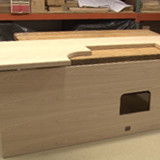 He recently purchased an Allen HISTORIQUE III™ for his home and at this writing is anxiously awaiting its completion! When the Allen organ at Sacred Heart of Jesus Catholic Church in Anniston, Alabama was greatly affected by a lightning strike to the church, they turned to Allen once again! 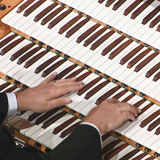 Mary Jones, Organist and Director of Music, stated she loves the sound of Allen organs, and the ability to have the voicing adjusted as she would like. She loves the feel of Allen consoles, the quality construction, the keyboards and everything feels different than that of other organ companies. She also stated that she loves all the various controls on the organ. This particular RL-58 had some custom controls added. Being able to have the choir division and more 8' choices on the choir division playable from the front, where the cantor sometimes leads, is very helpful. The trumpets are also playable from the other side of the room as well as from the main organ. 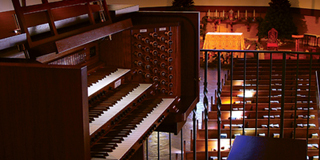 The following is excerpted from a letter written by Assistant Organist Jack Thrasher to Allen Organ; "The new organ maintained all the features of the older organ, plus it has newer upgrades custom-designed for the needs of our church. Without the expert design assistance and follow-up training from our dealer, we would not have the beautiful instrument that we now have. The mixture of sounds is phenomenal! The cabinetry appears to have been the work of a master craftsman. 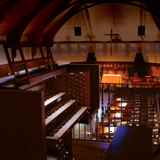 We could not have asked for anything better, and are extremely pleased and gratified to have this organ in our church!" 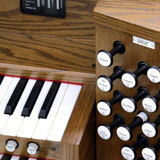 Look for this unique organ in the upcoming Allen Organ back cover ad in the March edition of Pastoral Music! Our Curved French Terrace Console project is taking shape, no pun intended. 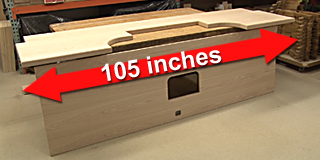 To date the curved terraces, apron, kneeboard, and sides have been measured, cut, fine-tuned, and are ready for assembly. We hope you enjoy this project as much as we are! Click to follow The Curved French Terrace Project. We were amazed by this story when we first heard it. 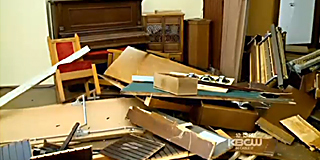 Watch the San Francisco Bay Area KPIX-TV news story and look closely at the Allen analog organ that gave up its life and credited as 'saving lives'. Organist, trumpeter, composer and conductor William "Bill" Picher performed Richard Wagner's "Evening Star" from Tannhauser on the Allen Q475 organ during a live performance at Allen Organ's Octave Hall in Macungie, PA. Bill is the Director of Music Ministries and Organist at the Basilica of the National Shrine of Mary, Queen of the Universe in Orlando, Florida. Watch Video: Allen Artist William Picher plays "Evening Star"
Thank you all for your votes last month and for your enthusiasm! 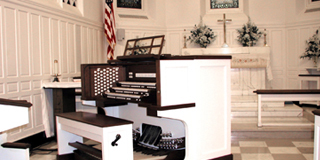 The previous Organ of the Month winner was the Quantum™ English-style Console Oak Finish Three-Manual. Click the link below to visit the AllenOrgan.com site for photos and more!